Sunday 23rd. June 2019 10.45 a.m. - 4.45 p.m.
Sandra Kerr has long been a brilliant & influential singer & player of the English concertina, since with her days with Ewan MacColl's Critics Group. A versatile musician with a fine, expressive voice, she is also an accomplished songwriter & has been a core tutor on the Newcastle University Traditional Music degree course. Sandra has recorded with many fine performers including her daughter Nancy Kerr & James Fagan. She also co-wrote the music for the children's TV series Bagpuss. The workshop will focus on creative accompaniment for the voice using any concertina system, & also a short session on the tunes Sandra recorded with Vic Gammon on the highly entertaining CD Early Scottish Ragtime. Some music will be sent in advance. 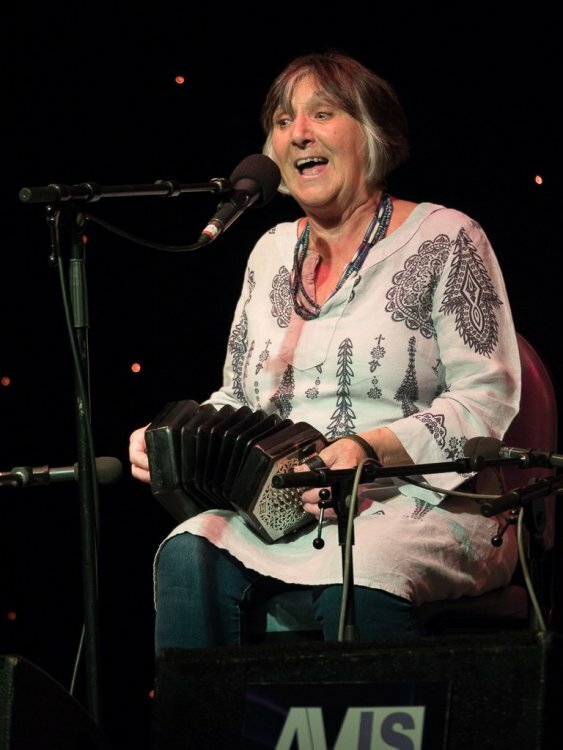 11.00 Creative accompaniment: After a warm-up designed specifically for concertina players, Sandra will demonstrate some of the ways she uses the instrument on traditional & contemporary songs, de-constructing them, & helping you to achieve something similar. 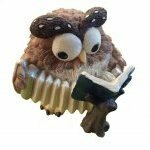 13.30 Your accompaniments: after a brief play through some tunes (Northumbrian - dots supplied) to warm up, we'll listen to some of your accompaniments, & look at ways of developing them or doing something different - or of starting from scratch on an agreed piece. 15.15 To finish the day, we'll play some catchy & unusual tunes (identified by Vic Gammon as 'Early Scottish Ragtime'...!) & see if we can make them swing! N.B. Booking is recommended as numbers are limited. Maps, music & accommodation lists will be sent in advance. I would like to attend the workshop. I enclose a cheque for £35.00 (refreshments not included). Email first for youth rate. I would happily pay for a video copy of the morning teaching session. I wish I could help, but I haven't got the technology and also feel it would be off-putting for pupils to know that the workshop was being filmed, even if the camera/mobile phone wasn't being pointed directly at them. It would be a bit like the cold panic that descends when you try to record yourself. How about making your local organiser's life a misery until they book Sandra to do a workshop in Ontario? And possibly one on the Baltic Coast on the way, following Wolf Molkentin's comment above. I don't suppose Sandra has ever considered recording some teaching videos, like Pauline de Snoo and Simon Thoumire and posting them on Youtube, to give an insight into her style of playing the English concertina. I was lucky enough to do a weekend of workshops with her when she was a guest tutor with WCCP some years ago. I would be happy with a handheld audio cell-phone recording of just Sandra's session. If I were to go to a session like this then I would want to capture the audio (with permission) anyway so if somebody does attend and grabs the audio then there seems to be a few of us around the world who would appreciate a copy. The advance music is ready to be sent out.